Monoclonal antibodies (mAbs) elegant specificity has catapulted them to a starring role within the world of precision medicine over the course of the last couple of decades. As is typically the case with new and revolutionary technologies, there have been fits and starts. The first FDA-approved therapeutic mAb, Orthoclone OKT3, was approved in 1986 to limit organ transplant rejection. Since 1986, more than 70 mAbs, serving either therapeutic or diagnostic purposes, have been approved. There have been many strides forward, as well as setbacks, but mAbs have grown from a small part of the drug industry to now being more than 50 percent of the overall biotherapeutic market. There’s a huge pipeline of antibodies still to be commercialized that will continue to deliver substantial market growth for years to come. Before diving into the discussion of the benefits, challenges and exciting future of mAbs, it’s worth taking a moment to reflect on merely one aspect of the near magical intricacy of antibodies. Of course, an antibody is a blood protein produced to counteract a specific antigen, or foreign substance such as bacteria, viruses or another foreign substance detected by the body. 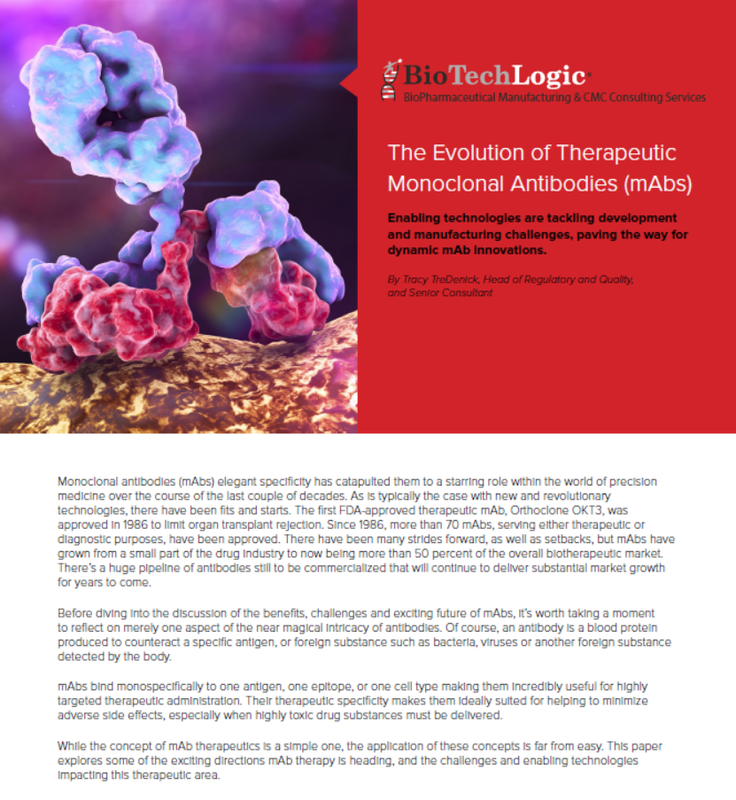 mAbs bind monospecifically to one antigen, one epitope, or one cell type making them incredibly useful for highly targeted therapeutic administration. Their therapeutic specificity makes them ideally suited for helping to minimize adverse side effects, especially when highly toxic drug substances must be delivered. While the concept of mAb therapeutics is a simple one, the application of these concepts is far from easy. This paper explores some of the exciting directions mAb therapy is heading, and the challenges and enabling technologies impacting this therapeutic area. These insights from Tracy are just a peek inside the new eBook released by The Cell Culture Dish. 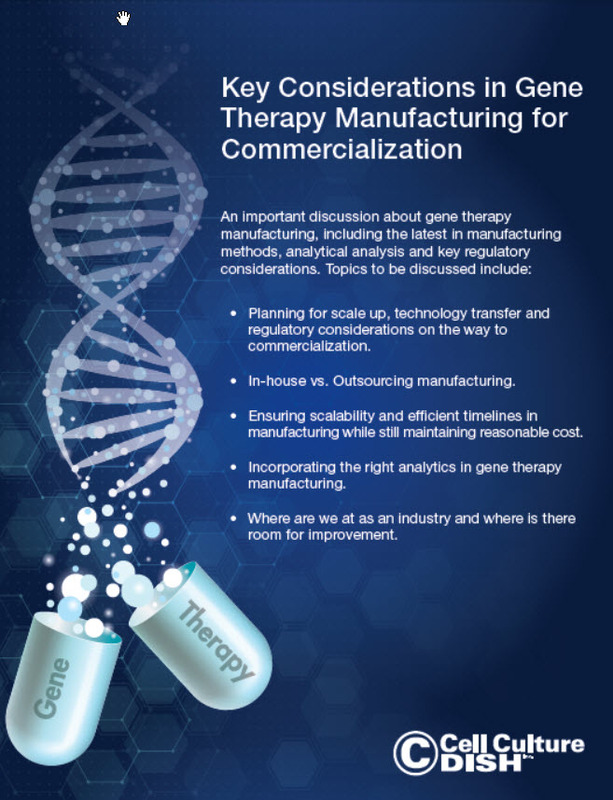 Tracy and 12 other industry experts collaborated to release the piece entitled Key Considerations in Gene Therapy Manufacturing for Commercialization. This piece offers both background and a look to the future as gene therapies continue to make an incredible impact on the therapeutic landscape including a great deal of promise on the horizon. Monoclonal antibodies’ (mAbs) elegant specificity has catapulted them to a starring role within the world of precision medicine over the course of the last couple of decades. As is typically the case with new and revolutionary technologies, there have been fits and starts. The first FDA-approved therapeutic mAb, Orthoclone OKT3, was approved in 1986 to limit organ transplant rejection. Since 1986, more than 70 mAbs, serving either therapeutic or diagnostic purposes, have been approved. There have been many strides forward, as well as setbacks, but mAbs have grown from a small part of the drug industry to now being more than 50 percent of the overall biotherapeutic market. There’s a huge pipeline of antibodies still to be commercialized that will continue to deliver substantial market growth for years to come. The development of a successful therapeutic mAb requires the identification and creation of a selective and potent molecule that performs the needed task, humanization of sequences, affinity maturation, Fc engineering to modulate effector functions, and engineering to address biophysical liabilities that would negatively impact manufacturability and/or patient effectiveness. Arguably, animal use in the development of mAbs, as well as other protein-based, pose the most significant challenges. 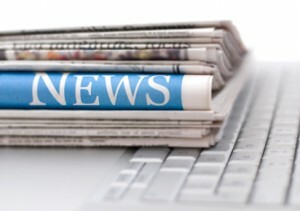 As it stands…continue reading article. More consistent and reliable production processes are critical for advancing innovative treatments. While cell- and gene-therapy products hold the promise of transforming the treatment of many diseases, difficulties in achieving consistent process control could stymie advancement in this field, cautions Peter Marks, director of FDA’s Center for Biologics Evaluation and Research (CBER). It’s “not simple” to bring a clinical production process to commercial scale, he says, voicing fears that important manufacturing issues could hinder efforts to advance new discoveries able to transform medical care. With more than 100 investigational new drug applications (INDs) filed last year for gene-therapy products and multiple R&D programs underway, FDA seeks to emphasize the challenges of developing and validating relevant manufacturing processes. CBER is receiving dozens of applications to test new gene therapies, Marks reported at the Cell and Gene Therapy symposium in July 2018, sponsored by CASSS. He acknowledged that the logistics of manufacturing autologous cells can be particularly challenging, and that limited capacity in cell lines stymie efforts to meet the demand for product development. While there is great excitement over the potential of CAR-T (chimeric antigen receptor) cell therapy to target and activate T cells to eliminate a cancerous or other undesirable cell type, Marks cautioned that the use of genetically modified cellular therapies to achieve a durable therapeutic effect requires a consistent process for producing and characterizing cells. Marks suggested that new manufacturing technology, such as partially automated closed systems and…continue reading article. Resurgent across the biomedical engineering and clinical trial landscape, gene-therapy owes its new vitality to a better understanding of rare diseases, the discovery of new gene delivery vectors, and the development of site-specific genome editing technology. Already pushing up new shoots, gene therapy may flourish if it extends its roots deep into an increasingly fertile manufacturing base. 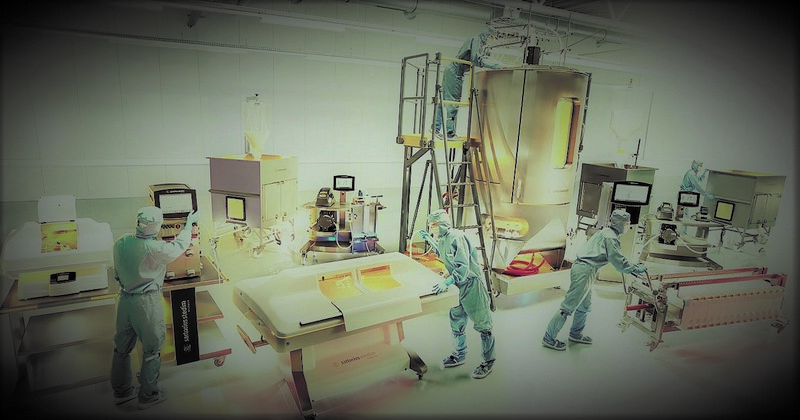 Manufacturing trends that nurture gene therapy’s growth include the development of production systems for adeno-associated virus (AAV) vectors for gene delivery. All these advances are encouraging gene-therapy developers to stake new claims in rare disorder territory, which is where gene therapy was first applied, before most clinical trials turned from monogenic disorders, such as severe combined immunodeficiency, cystic fibrosis, and Duchenne muscular dystrophy (DMD), to polygenic disorders (such as heart disease, diabetes, and cancer). Monogenetic disorders resisted early gene therapy, which struggled to achieve long-term expression of genes that were introduced with the intention of replacing or disrupting faulty genes. Also, monogenetic disorders, which affect small patient populations, seemed to offer limited commercial reward. Given that gene therapies against monogenetic disorders now seem more workable from a technological perspective, old commercial assumptions are being reconsidered. It remains true that monogenetic disorders afflict relatively few people, but monogenetic disorders are numerous. In fact, they account for about 80% of the 7,000 rare disorders that have been identified. In addition, the NIH has launched the Therapeutics for Rare and Neglected Diseases (TRND), a program that oversees a suite of pilot projects to address specific obstacles in gene therapy development. 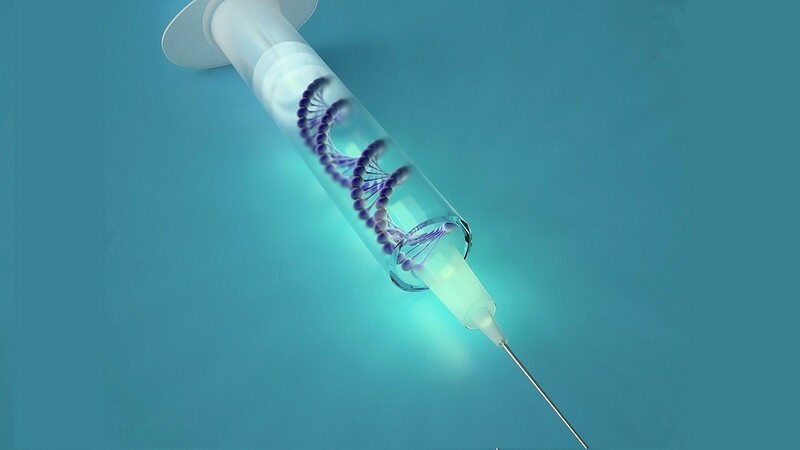 In collaboration with biotechnology and academic groups, the TRND hopes to scale up gene-vector manufacturing and disseminate the best practices to achieve regulatory approval for new gene therapies. At the recent Gene Therapy for Rare Disorders 2018 conference in Boston, Dr. Brooks’ optimistic take was …finish reading article. More is better when it comes to Big Data and machine learning. This is particularly true in the fields of medicine and pharma. 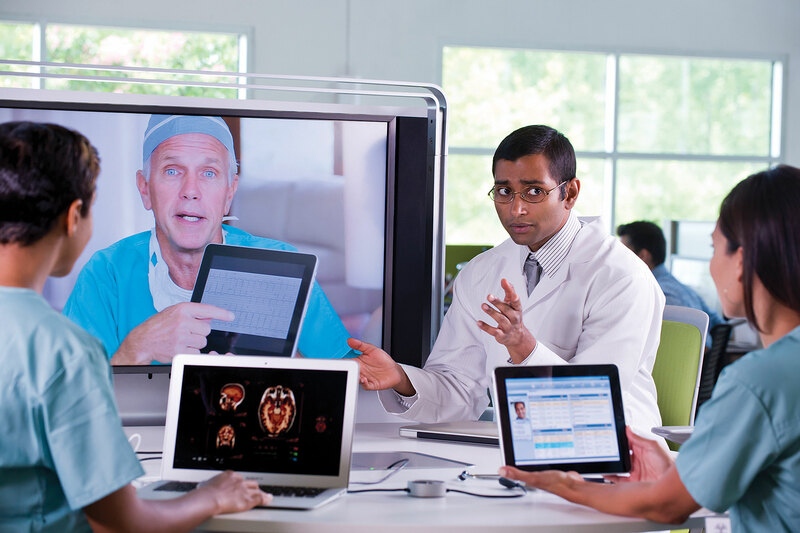 A report by Accenture estimates that by the year 2026, Big Data in conjunction with machine learning in medicine and pharma will be generating value at a prodigious rate: $150 billion/year. This figure reflects how the tools of artificial intelligence (AI) are expected to help doctors, patients, insurers, and overseers reach better decisions, optimize innovations, and improve research and clinical trial efficiency. Healthcare data comes from myriad sources: hospitals, doctors, patients, caregivers, and research. The challenge is putting all the data together in a compatible format and using it to develop better healthcare networks and protocols. This is where machine learning comes in. The main purpose of machine learning applications specific to medicine and pharmacotherapy is to make data accessible and usable for improving prevention, diagnosis, and treatment as a matter of course. Pioneers in medicine and pharma machine learning are already addressing some key areas. BioTechLogic’s Tracy TreDenick delivered a very well-received presentation at this year’s BPI West discussing process validation and regulatory strategies for expedited approval drugs. BioTechLogic has done numerous projects supporting clients working to bring therapeutics with accelerated approval status to market. Given the complexity and the challenge of these programs, it’s little surprise that the talk was of such great interest. 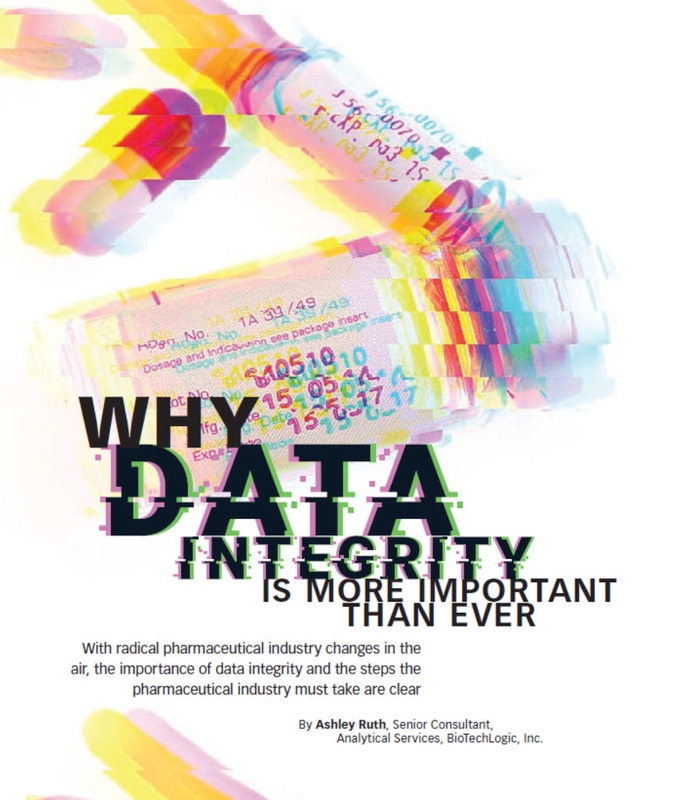 We are thrilled that our contributed article, “Why Data Integrity Is More Important Than Ever,” was published in the January/February 2018 issue of Pharmaceutical Manufacturing magazine. This presentation explores the progress that has been made and the challenges ahead as cellular therapeutics strive to mature in the marketplace. 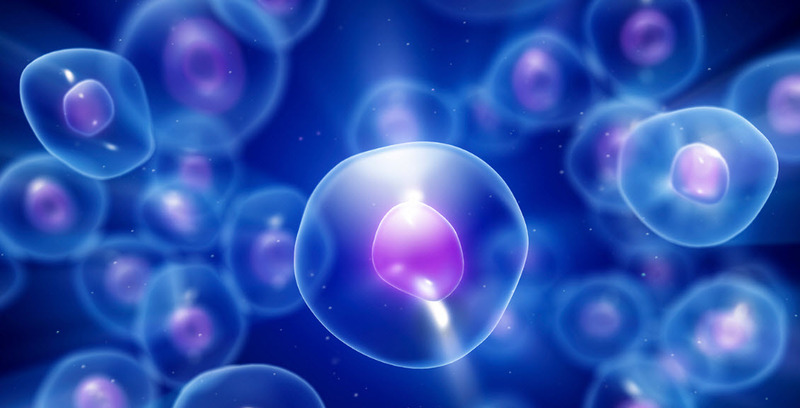 While the field of stem cell therapy has been in development for decades, most notably with the first successful bone marrow transplant in 1968, regenerative medicine is now experiencing rapid progress fueled by scientific and technology advancements. Although cellular therapeutics benefits greatly from embryonic stem cells, debates over the ethics of this type of research has led to the discovery of a more sustainable alternative, somatic stem cell research. This said, many of the emerging cell therapies are scientifically and medically complex with many learnings and understandings still to come. As if core scientific and medical complexities were not enough, the industry, medical community and regulators are grappling with the challenge of conforming the regulatory framework to support the commercialization of cellular therapies, for instance cellular therapy classification, quicker approval pathways, and CMC challenges. Cell Therapies: A Drug or not a Drug? Within the cell therapy arena, regulators, the medical community and industry alike are often confronted with an unsettling question. What is this, really? Should a given cell therapy be regulated as human cells, tissues, and cellular and tissue-based products (HCT/Ps), or should the cell therapy be regulated as a drug with the FDA oversight and regulatory approval process that accompanies that designation? As cell therapies have become more common and indications have expanded, it’s becoming increasingly common to be trapped in “no man’s land” trying to answer this question, creating tension and confusion for the range of stakeholders involved in the decision-making process. Today, the dispute primarily centers around somatic stem cells that are harvested and prepared for transplantation through minor surgical procedures at stem cell clinics and other medical service providers. Mesenchymal stem cells (MSCs) are collected from a patient’s own bone marrow or fat tissue, or from donor tissue not altered or manipulated and can form fat, bone or cartilage, making them useful for repairing bones and joints, minimizing inflammation caused by conditions such as rheumatoid arthritis, and promote the repair of a range of tissues. Hundreds of stem cell clinics now perform procedures with MSCs that are regulated as HCT/Ps under Public Health Service Act (PHSA) section 361. Procedures falling under section 361 classification are subject to regulations similar to that of other surgical procedures that are primarily aimed at avoiding contamination, infection and the spread of infectious disease. HCT/Ps that require “manipulation” or alteration are governed by PHSA section 351. These products/procedures are considered to be indistinguishable from drugs and must undergo a rigorous regulatory approval process before being administered to patients. Some of the lines that separate section 351 products from those of section 361 are clearly drawn. For example, cells and tissues used homologously, meaning they perform the same function in the recipient as they do in the donor — such as the transplantation of bone marrow to restore healthy blood-cell production, are regulated under section 361. And therapies that employ a patient’s own stem cells (autologous) are more likely to fall under section 361 than those that use allogeneic cells (from a donor). So back to the question at hand: A drug or not a drug? Broadly, the FDA considers a product to be a drug if “more than minimal manipulation” is required for its effectiveness. Ambiguities can arise, however, because merely separating stem cells from their neighboring cells always entails some degree of manipulation. The question of minimal manipulation was… click to continue reading article.